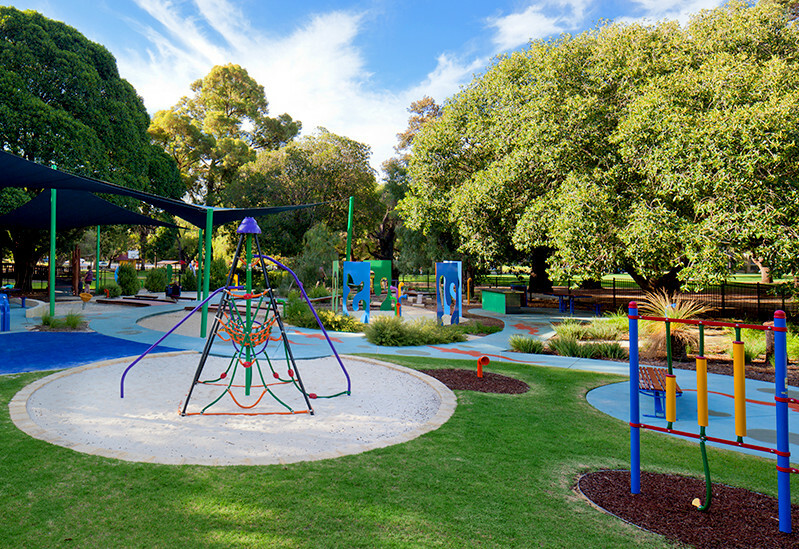 Ecoscape won an AILA National Landscape Architecture Award for Design for this outstanding universal playspace designed for the City of Subiaco. 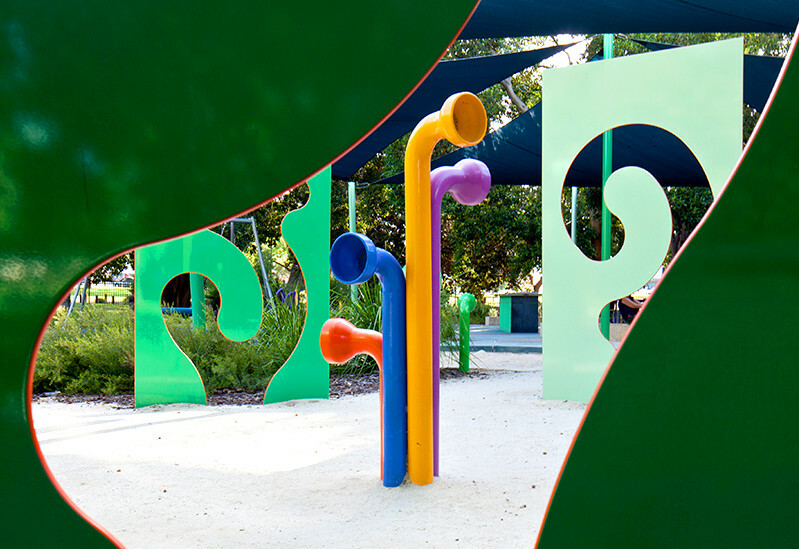 This "equal access" playground inspires creativity, promotes inclusivity and draws upon the heritage of the site for inspiration. 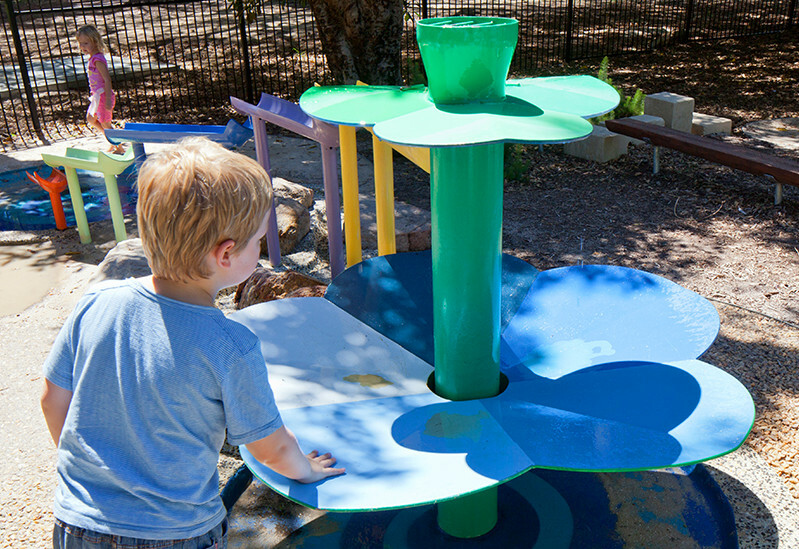 In 2009 the Mueller Park Universal Playspace was commissioned as an initiative to improve facilities for children with disabilities. 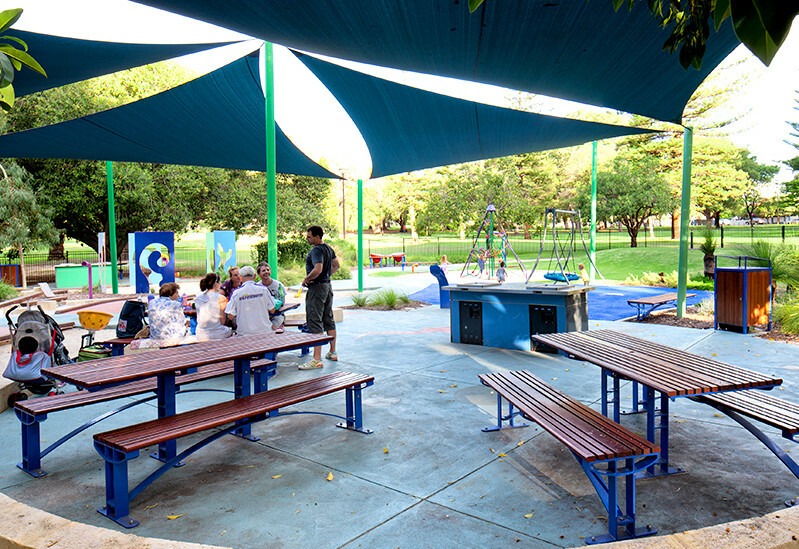 Public consultation was carried out with parents and children by the City to identify desirable elements. 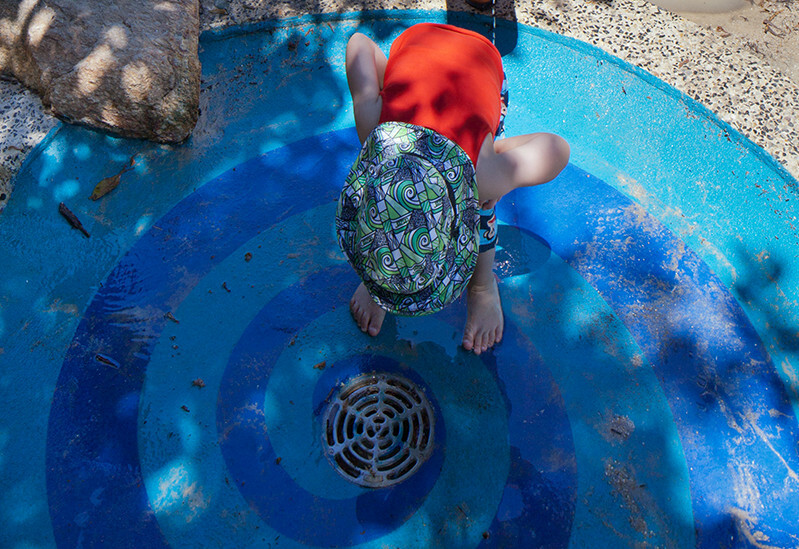 Equal access is catered for through the inclusion of activities and spaces that allow the exploration of the physical world through the use of sight, touch, sound and smell. 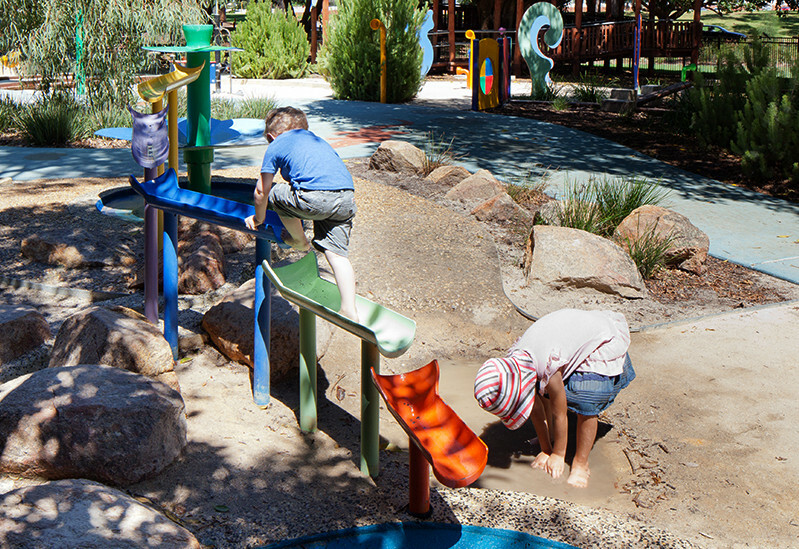 Specialised play equipment was included for use by children with a range of abilities. 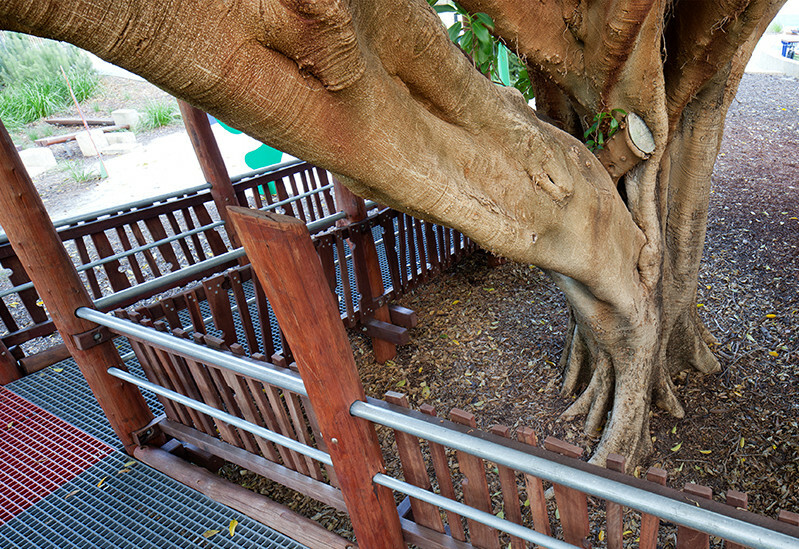 Plant selection is predominantly West Australian originally catalogued by Ferdinand von Mueller, the botanist and explorer from whom the park takes its name. 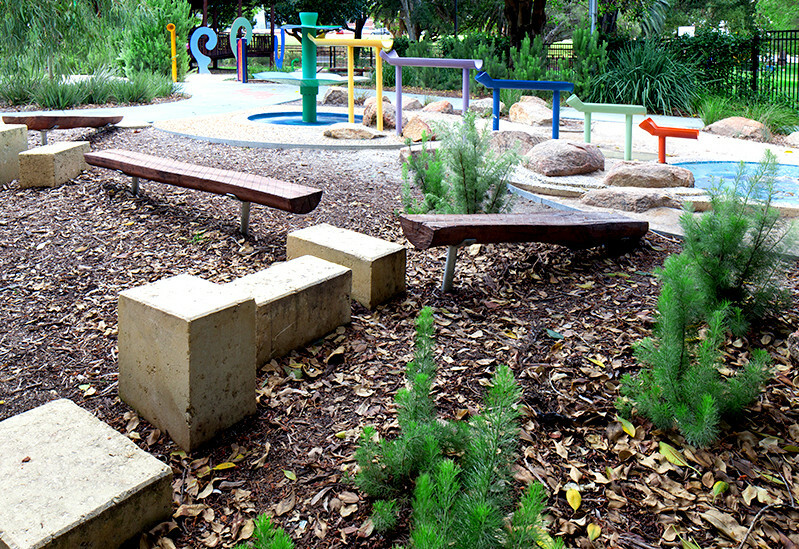 These have been selected to withstand wear and tear, as the planted areas are an integral part of the play experience. 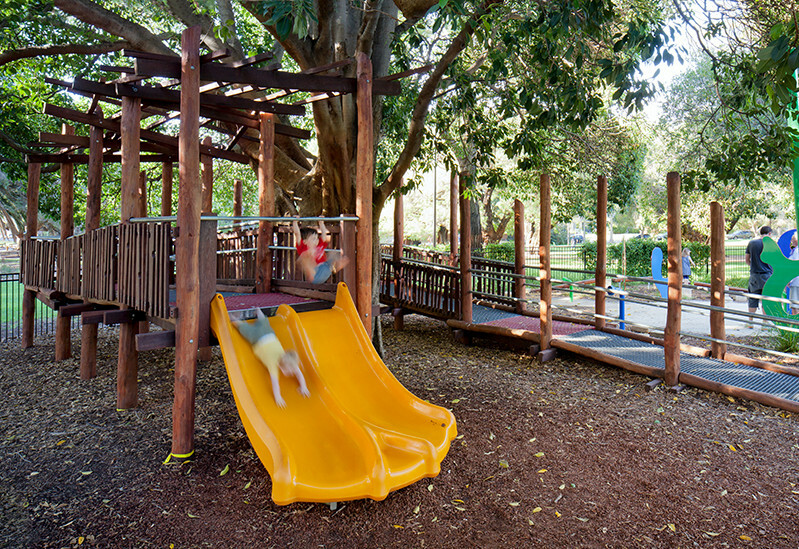 The project won an AILA National Landscape Architecture Award for Design in 2012.